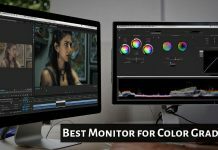 In our previous posts, you found the information about the best USB powered monitors and how a USB portable monitor will help to boost your productivity. So, we will not discuss the same here. But, today we want to provide you a detailed information and review about the handful portable HDMI monitor – Gechic 1303h. We will show you its specifications, key features, design, performance, compare with other models and a review verdict. Check it below. Available at a price of $299 on Amazon, the Gechic 1303h is quite a unique display in the category of the USB powered monitors. There are two reasons behind it. First, it is the lightest portable monitor in the market with the weight of under 600 grams without cover. Secondly, it is the only portable monitor in the market which works with MacBook and Mac Mini. You can connect any device with the Gechic 1303H through HDMI, VGA, or Mini Display Inputs which means you can connect it with multiple devices without using adapters. It is designed for providing maximum portability and flexibility. If you want a dual screen for a better productivity ratio, then Gechic 1330H is the amazing option to choose as it has compatibility across all devices including PCs, gaming consoles, cameras, smartphones, tablets, Mac devices, etc. The 13” IPS TFT display has a simple look from the front with a white bezel surrounding. The input buttons are located on the left. It has dual micro USB ports designed for power. You can attach one or two (if one source is not enough for providing 2amp required input) power sources to it. Unlike to the other portable monitors, Gechic 1303H does not use a USB cable for data transfer. Instead, it uses VGA, HDMI, or DisplayPort for doing this. For audio output, it has a 3.5mm headphone jack. You can connect your iPhone or Android device with a right cable due to the MHL support provided by the monitor. The power and menu buttons are fitted on the right side of the panel. They are too easy to press. The up and down buttons are hard and easy to press respectively. The price for which the monitor is available; the company should manage a better way for button arrangements and work. There are small screw threads on the top and bottom side of the monitor. The plastic construction of the monitor has a rigid feeling with no gaps between the parts. Despite the plastic material, the Gechic 1303H is a solid model which will not break easily unlike the portable monitor from AOC. It comes with a stand which has three adjustment angles. Also, you can mount this monitor on a wall or a tripod. It has an optional VESA mount capability, but you need to purchase it separately. 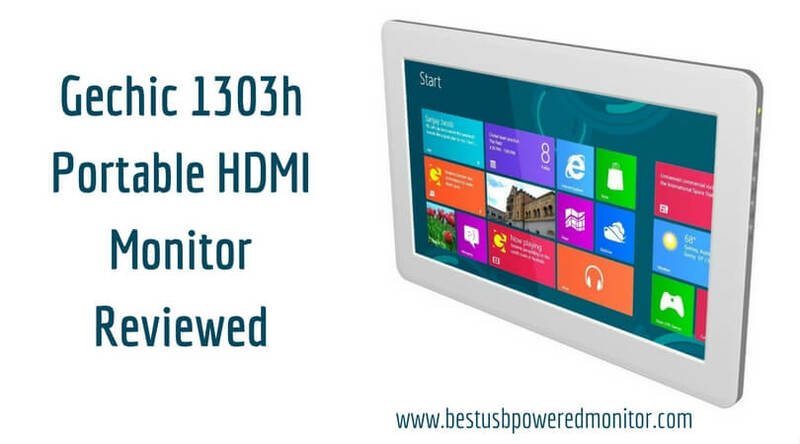 The lacks in build quality are covered by the performance of Gechic 1303H Monitor. It is the only portable screen in the market today which provides color adjustment settings. It has a 60Hz refresh rate, which is perfect for gaming. You will face no lagging while playing Grand Theft Auto or Counter Strike on your portable screen. The 178-degree viewing angle is perfect for watching the screen without any distortion. The IPS panel is slightly reflective but offers you a great viewing angle and color reproduction. Even when you use it outdoors in bright light, you will get stunning visuals on it. You do not need adapters to connect Gechic 1303H with a Xbox or PS4. It is the only portable monitor which can connect with Mac and other devices with mini display port capability. You will need a connector for attaching your smartphone or tablet to it, though. 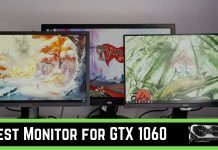 Comparing the Gechic monitors with other displays will give a more clear idea. Check this below comparison table of Gechic monitors Vs other portable USB powered monitors. Overall, the Gechic 1303H portable HDMI monitor is a great choice for a dual monitor setup as well as connecting your multiple devices like cameras, smartphones, gaming consoles, tablets, etc. to have an enhanced viewing experience. Though it is expected to have a more premium material for the price you give, it is an amazing display with bright colors on an IPS panel. 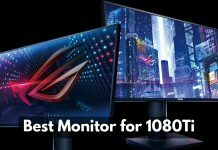 And this review and comparison with other monitors will give you a clear idea of selecting your best portable monitor to boost your productivity.